I´m having a brand new pack in my store today. It´s a special one. One that´s on a very personal topic. 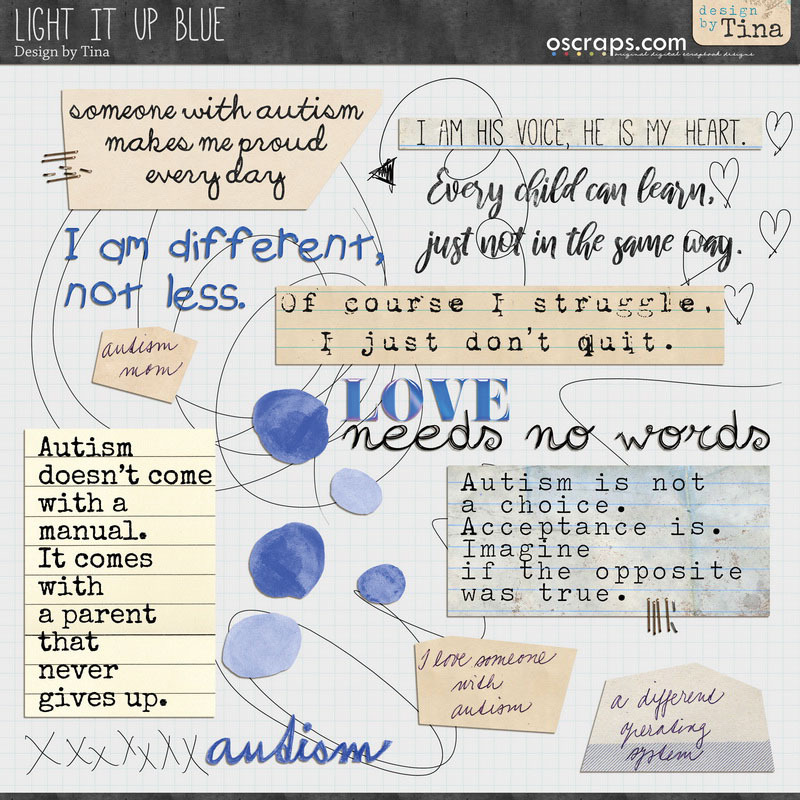 April the 2nd is world autism awareness day. Autism is a part of my life and of that of my family. My son has been diagnosed with autism. It´s somehow my job to spread awareness because of my boy. Life with an autistic child is never easy, it´s challenging on so many levels. is overwhelming and exhausting at the same time in equal measure. My son´s making progress every day. Baby steps. I hope he will be able to live an independent life one day. I hope he feels our love too. "Light It Up Blue" is for my boy. or a little bit every day. Wonderful pack and amazing pages! Amazing layouts with this awesome pack. Thank you Tina for what you do. I can't imagine it is easy. I know several designer friends who deal with this too and I admire the courage they all show.